Of course, it's impossible to do everything in this ever-changing city, so these are only the places I personally tried. I omitted the places I didn't like and only mentioned the places worth mentioning. Some are hyped and don’t really deserve the hype, others are not well known at all and deserve a lot more praise. I think there’s something in here for everyone, and even for locals, there might be a couple of undiscovered places. Click on this link to go to the map and download the PDF guide here. For each place, I wrote one or two sentences with my opinion and specific recommendations. Because 5000+ words worth of mini-reviews was a bit too much to put into one blog post, I made a PDF document with the complete guide which you can download here. 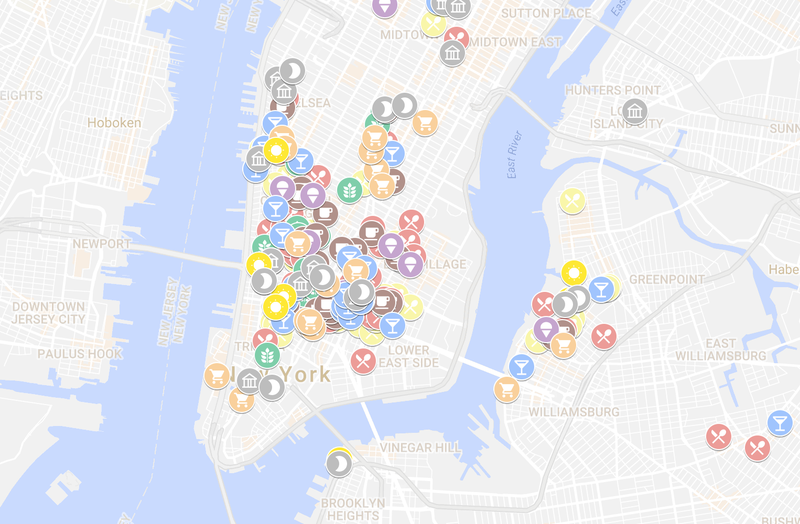 I hope this map and guide is useful on your next trip to New York City. I try to keep it updated every couple of months as some places close down and I discover new spots whenever I go. There are more than 250 places on this map so plenty to explore. Enjoy!